Just doing a shout-out for my latest thought leadership effort - it’s an Insight Report, published by No Jitter and sponsored by Voxbone. There’s more to the cloud than meets the eye when using it for contact center, and that’s what this paper explores. Being hosted on No Jitter, this is gated content, so you need to register to get a copy, but that won’t take long at all, and am sure Voxbone will be happy you did that. I’m just the author, and if you want to discuss this topic further, feel free to drop me a line. 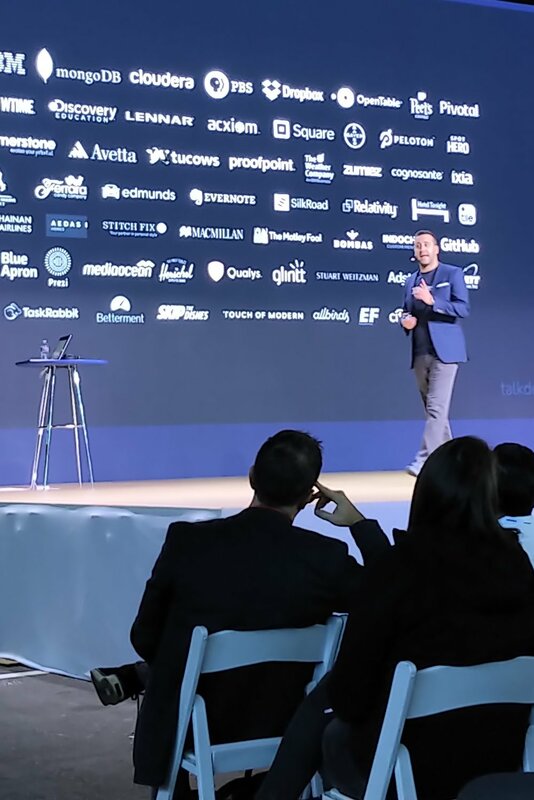 Am just back from Talkdesk’s event in San Francisco, so it’s been a busy week. Lots to like - and learn - about what they’re doing, and I summarized that in two posts, both of which have been published now on GetVoIP.com. If you haven’t seen them yet, the links are here and here. As always, comments and sharing are welcome. Otherwise, here are a few of my photos from the event, and with that, we’re on to Miami, and BroadSoft Connections on Monday! Twilio SIGNAL - Day 2 Thoughts and Pix - OK Go, and do you Believe in Magic? Can’t remember the last conference that hit the ground running with intensity, passion and creativity - and stayed there end to end. That’s been the vibe here, certainly for the general sessions on both days. It was enough just to keep up taking notes and posting some pix on social, and for now, I’ll be short, just like my Day 1 post. I need to digest and recover from two weeks of steady travel, but my considered thoughts will be coming soon. Until then, some Day 2 pix. First, there is a really strong vibe here, not just for being socially conscious, but for social justice. For left-leaning liberals, Twilio is your kind of culture - Trump not spoken here. This was best exemplified by Erin Reilly, their VP of Social Impact and GM of Twilio.org. They’re not just talking about this stuff, but they’re doing a lot about it. 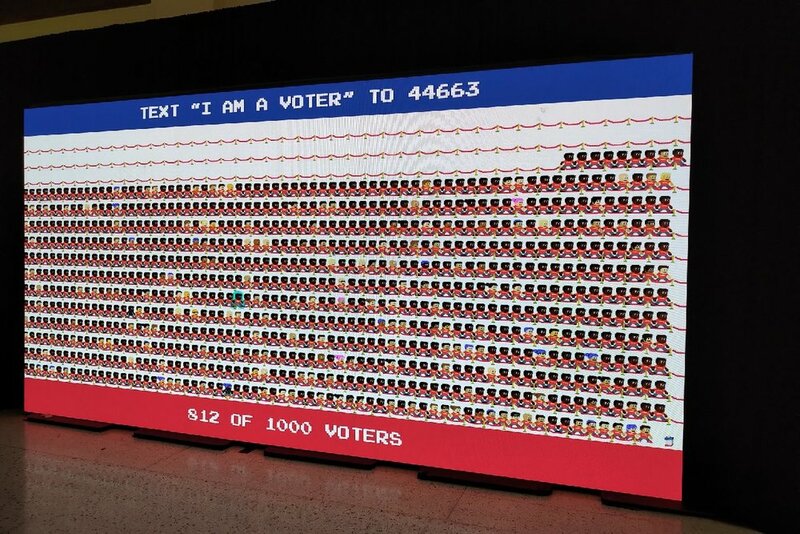 Check our her “I am a Voter” t-shirt (worn by other Twilio speakers, including Jeff Lawson), and her social experiment with texting to see how many in the audience agree with her - love it. They’re also using their messaging platform to help people in need, especially the disadvantaged, like those subject to racial profiling or immigrants facing deportation. Pretty strong, but inspiring stuff. On the fun side, SIGNAL did not lack for star power and cutting edge technology. First, Tony Hawk, who sure has inspired a few generations of skateboarders. 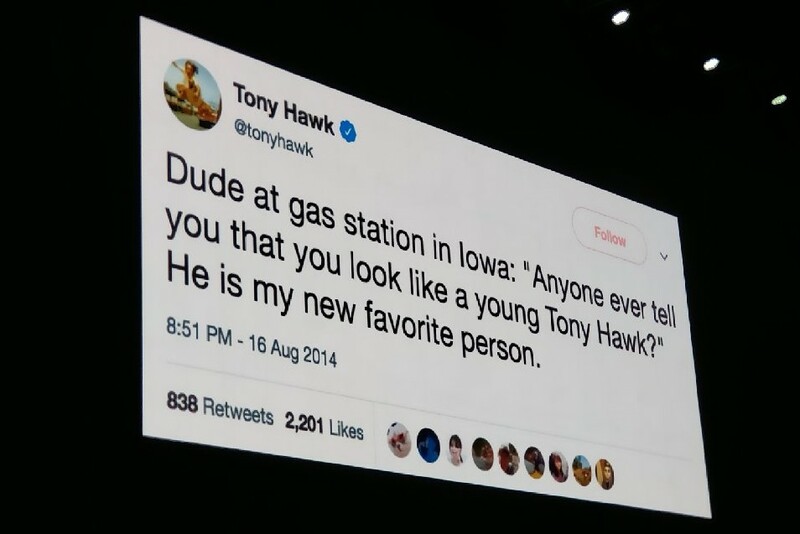 He’s a legend, but not that recognizeable, so the running joke is that people think he looks like Tony Hawk - check out this tweet that shows what he’s talking about - hah! Then we had the creators of West World, Lisa Joy and Jonathan Nolan - cool. Even cooler, we were treated to an amazing “performance” by OK Go. I would need a whole post to break down all the things they did, but let’s just say, as developers, they mixed technology and music in a really creative manner that involved all of us, and all of our mobile devices. Tough act to follow! 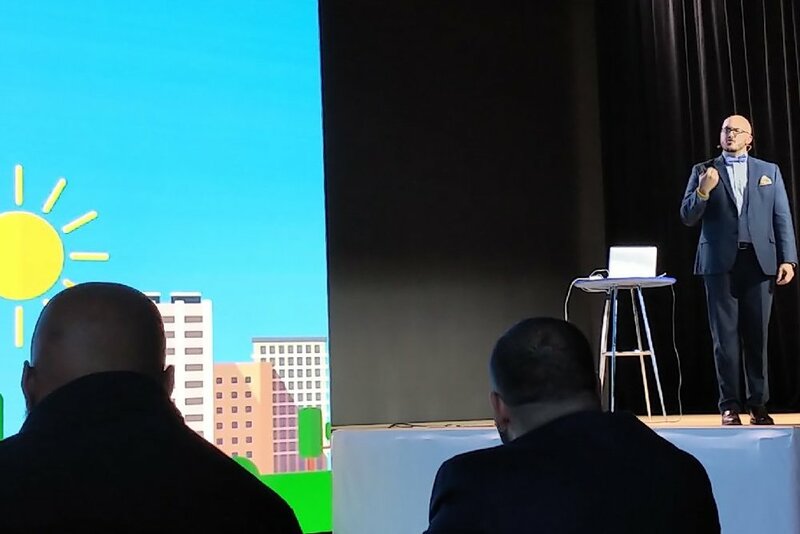 Finally, magic was a big theme at SIGNAL, beginning with a cool demo from a magician who made the mobile phones of two strangers call each other simply by touching their index fingers together. Pretty impressive way to show the power of human connection, and there was more magic to follow. 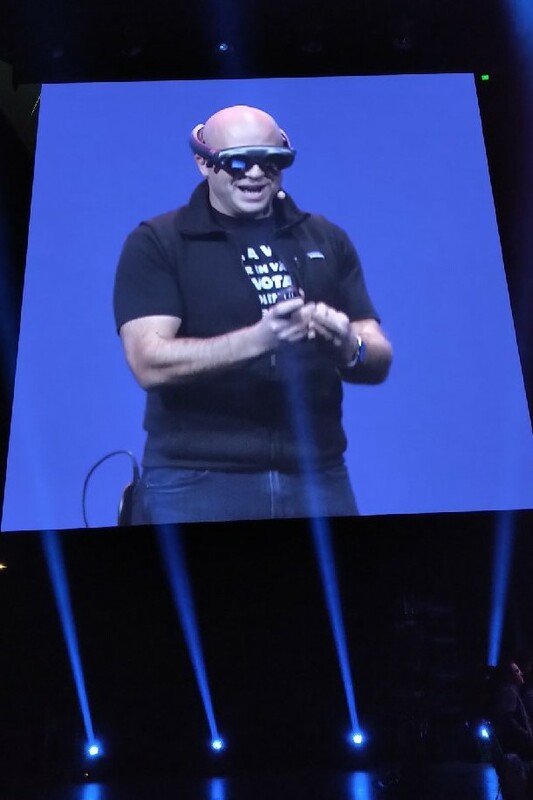 Now, check this out - CEO Jeff Lawson wearing the AR/VR goggles and doing a demo with Magic Leap. 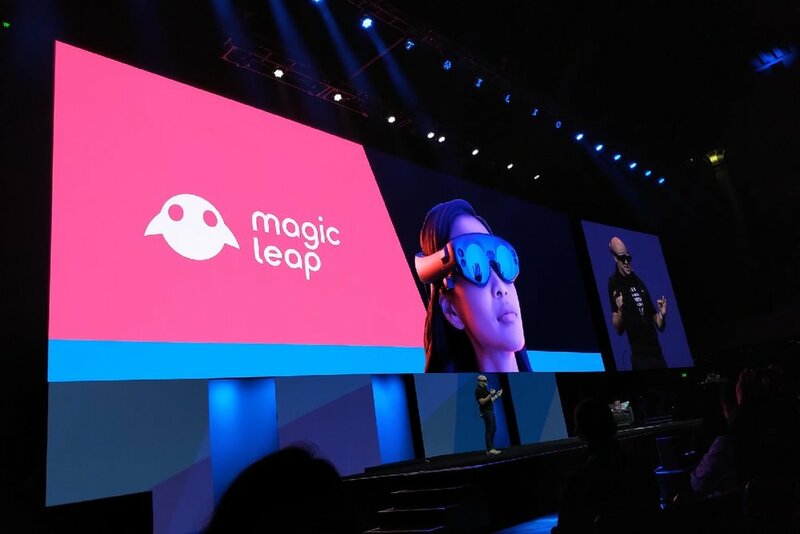 In the third photo, he’s doing a virtual chat with Magic Leap’s Rony Abovitz. The two avatars are chatting and interacting in real time, while Jeff and Rony are speaking from different physical locations. Jeff says this is the first time an avatar chat has EVER been done in real time in front of an audience. Aren’t we special, and isn’t that some kind of magic? Onwards and Cloudwards is how Genesys is framing the topic, and it should be a good one. These are heady times for the contact center, as the case for moving to the cloud seems to get stronger by the day. There’s still lots to think about, and to do this right, you need a plan. If you’re in that situation now, this is the webinar for you. My followers will know that I’ve been doing several webinars lately, and this topic has definitely been keeping me busy. 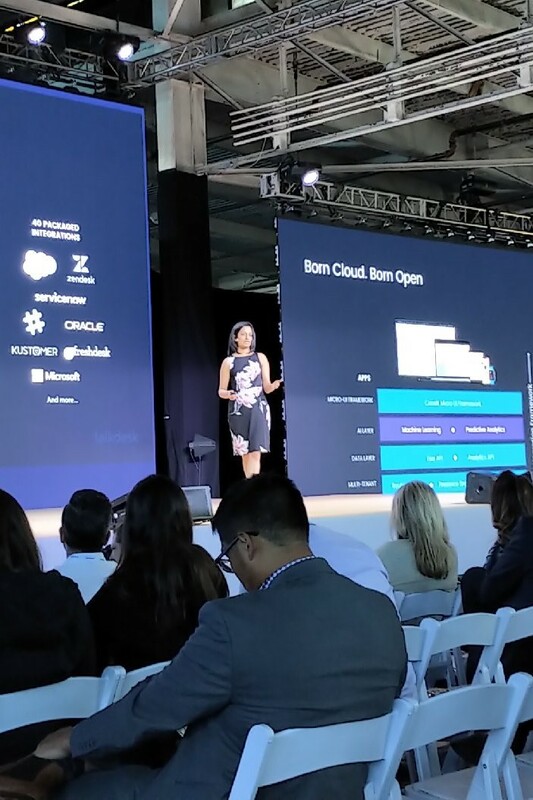 For this webinar, Genesys is the sponsor, and following my presentation, I’ll be joined by Barbara Gonzalez, their VP of Global Business Consulting. Full details are here on the registration page, and if you’re coming, save the date - Wed, Oct.3 at 2pm ET. Genesys has been doing a great job promoting this on their channels, and I’ll be keeping that vibe going as we get closer to the date. I've just completed a series of writeups for Upstream Works on the growing role AI is playing in the contact center. The third and final Strategic Insight in this series can now be downloaded from their website, and I've written a blog post that serves as a preview for my analysis. Before steering you there, in case you haven't been following this series, here's the preview post for the first writeup, and here for the second writeup. Each of these blog posts includes a URL where you can download the full analysis, and if you read these, I'd love to hear your thoughts - as would Upstream Works. Coming back to the latest Strategic Insight, below is the opening para of the post now running on Upstream Works's blog - to read the rest, click here, after which I hope you download the full writeup. Technology change presents both challenges and opportunities for all types of businesses, and over this three-part series, I’ve been addressing its impact on contact centers. In particular, I’ve been focusing on the emergence of Artificial Intelligence and the role chatbots can play in driving a better customer experience. The full potential will take years to realize, but there’s an urgency for contact centers to adopt new technology, and AI presents viable opportunities that can be deployed now.